Hi guys all over the world, specially those who love teaching English,I m Romy from Indonesia,I m ready to share all my contributions and share them with you. 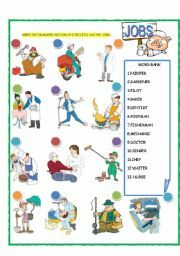 And here�s the part-2 of the same activity with Part-1, students have to put the numbers into each circle to match the correct jobs pictures.Still thinking in making rest part, keep waiting and hope it�ll be useful for you and your students too. Thank you. 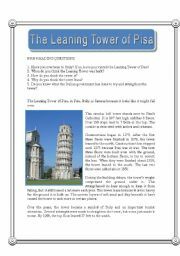 Here I�m back with my worksheets after being idle for sometime. This time I come with my jobs worksheets. 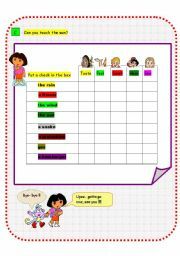 It�s a matching activity where students have to match the pictures by filling the numbers into each circle. Have fun and hope you like it. 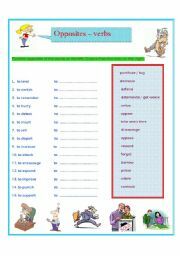 Here I am back with another opposites worksheet,if couple of days ago I had already submitted an opposite worksheet - it was about adjectives - but this time I make another opposite one,it�s about verb.The students must find the opposite of the word on the left, then choose from the ones on the right.Hope you like it, too. 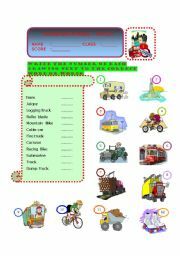 Students have to match the pictures of transports with their words in the box,this is the first part, the next sets of it will be coming soon, have fun. 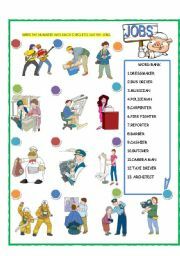 Find the opposites of the words on the left.Choose the ones on the right.Have fun hope you�ll find it useful for you and your students in your class. An answer key is also included. 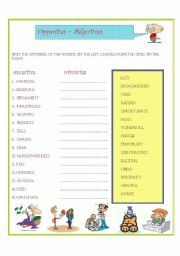 This worksheet is meant for students to practice the Present Perfect Continuous. 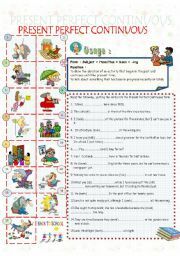 Consist of two exercises, first the students need to complete the questions by filling the correct form of present continuous and second have to match the sentences with appropriate pictures. Hope it will be useful, thanks. 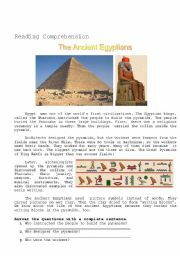 A reading Comprehension about the Ancient Egyptians,read and answer the question based on the reading, match the column,exercise relating to the simple past.Enjoy it!